.14 will be released tomorrow (US/TW, WW/DE/Others early next week) ,should solve the power problems that some users experienced after the .13 update. Early downloaders are reporting that lower power states (such as when the device is idling) are back, which is resulting in better battery life. Apparently "1.4GHz is back" as well, though I wasn't aware it was gone to begin with. Perhaps most notably, this update breaks root! The update was available to both Cameron and I as soon as we checked for it. 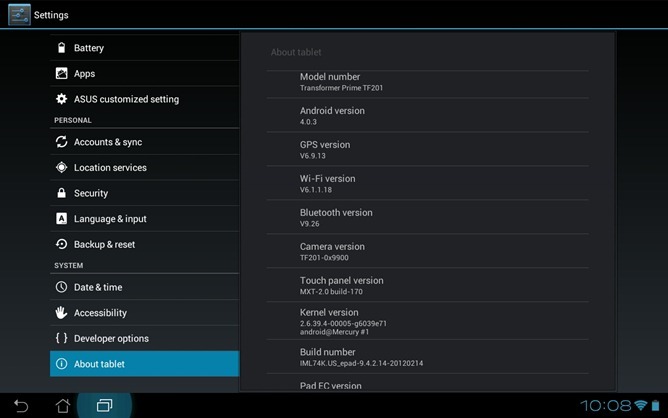 To do so yourself, head to Settings -> About tablet -> System Firmware Update -> Check Update.